The tradition of Father’s Day supposedly dates back to 1910, when one Sonora Smart Dodd of Spokane, Washington, held a celebration to honour her widower father, who had raised six children on his own. But the citizens of Fairmont, West Virginia, were already onto something when they decided to commemorate the 250 fathers who had been killed in a mine explosion, two years earlier in 1908. Today, Father’s Day is celebrated in over 100 countries, and has become the fourth largest card-sending holiday in the world – and with good reason. 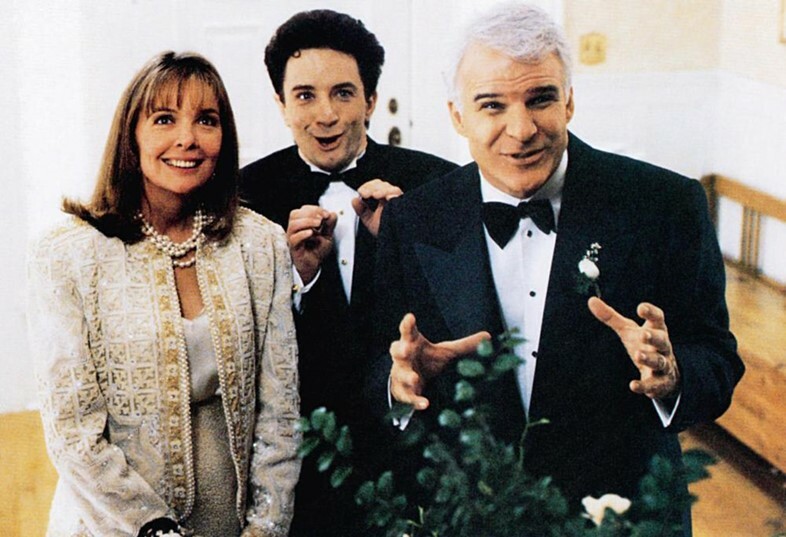 Enter Father of the Bride – we're talking the brilliant 1991 remake of the Spencer Tracy classic – which sees Steve Martin and Diane Keaton assume the roles of George and Nina Banks, a blissfully happy married couple dealing with the announcement of their 22-year-old daughter’s engagement in their own, very different ways. 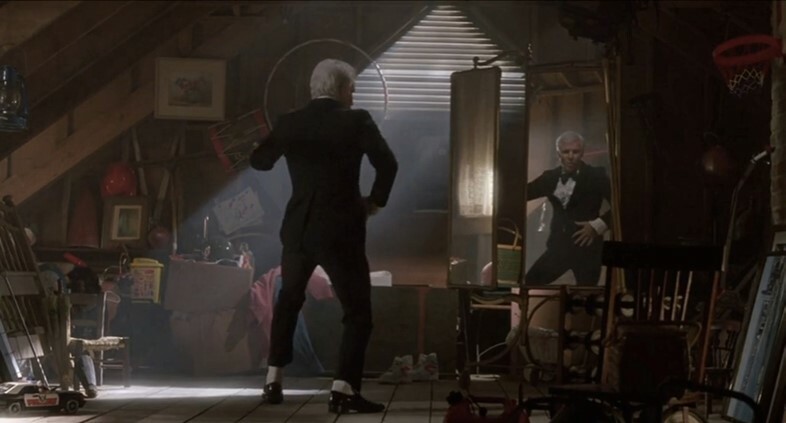 And while we suggest you find a form of stress release that doesn’t entail tearing open hot dog bun packages or demanding that the guests at your daughter's wedding to refrain from eating, we think there’s plenty that George Banks and co. can teach us. 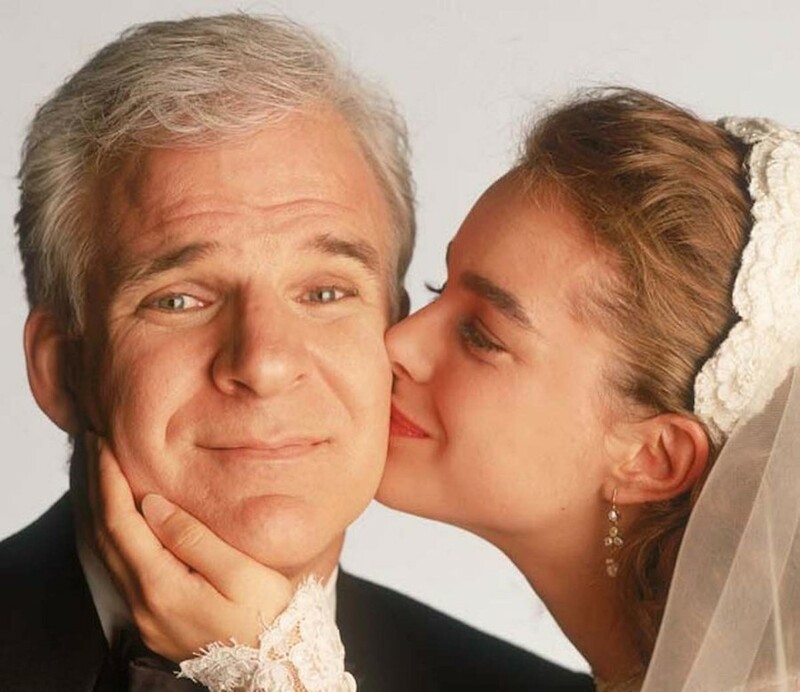 Father of the Bride has been a legitimate source of inspiration and laughter for families ever since, so in honour of Father’s Day this Sunday, we present some valuable lessons to be gleaned from one of our favourite filmic celebrations of the paternal bond. The Bankses' precious daughter Annie (Kimberly Williams-Paisley) returns from a semester studying architecture in Rome looking dazzlingly well, and very grown-up in a sophisticated black mini-dress, pearls and black high heels. But the shock of her appearance is nothing compared to the news, delivered nervously over dinner, that she is engaged to Bryan MacKenzie – a 26-year-old independent communications consultant from LA. After much stuttering, a passionately delivered ramble – his daughter is too young to get married, and being an "independent" consultant is a fancy term for being unemployed, doesn't she know? – and a moment of point blank refusal (at one stage in the debate, he turns to his wife and asks "who's Bryan? "), George finally begins to process the news. 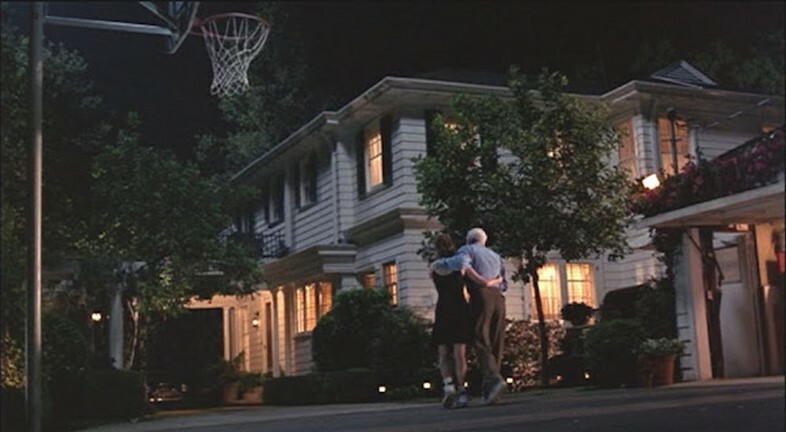 In a touching scene of reconciliation, set to Motown hit My Girl, father and daughter thrash it out over a game of basketball, which sees Annie defeat her father while still decked in her LBD. But just because George has forgiven Annie, that does not mean he'll forgive his future son-in-law. From the second he steps into the house to meet the family, poor Bryan can do nothing right: first he addresses George as Mr Banks ("It was the first time I ever hated the sound of my own name," narrator George chimes in) and swiftly afterwards as sir ("Two words: Brown. Nose"). 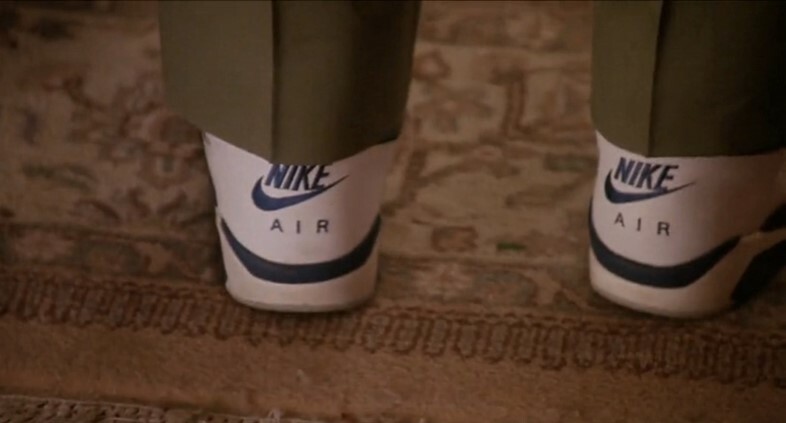 But his worst crime of all is his choice of footwear: "I don't like him," George whispers to Nina, "He's wearing Nikes" – which, to the proud owner of athletic shoe company Sidekicks, is sacrilegious. However, in the build up to the wedding, Bryan’s upstanding demeanour and honest intentions outweigh his questionable taste in footwear, forcing George to change his opinion of him and eventually accept him into the family. As soon as the wedding planning begins, George is gripped by a fear of how much it will cost (linked more to his reluctance to lose his daughter than any kind of meanness). His first plan for the wedding is to hold the reception in The Steak Pit, the Bankses' favourite family restaurant. This idea is immediately shut down by his shrewd young son Matty, who points out the word "pit" just doesn't look good on a wedding invitation. While his next idea of decorating the family garden with crepe paper and serving his homemade guacamole to guests at seated at picnic tables stirs up a rare argument with his wife. But the funniest reiteration of this point comes when George, in a bid to save money, dusts off his old 70s tuxedo (complete with frilly white shirt and cropped trousers) from a moth-ball filled box and dances around the room doing a Tom Jones impression. This, he is told in no uncertain terms, just won't fly. His punishment comes courtesy of the magnificent (and utterly incoherent) wedding coordinator Franck Eggelhoffer, whose elaborate plans for the wedding involve a $1200 cake and a garden full of live swans. 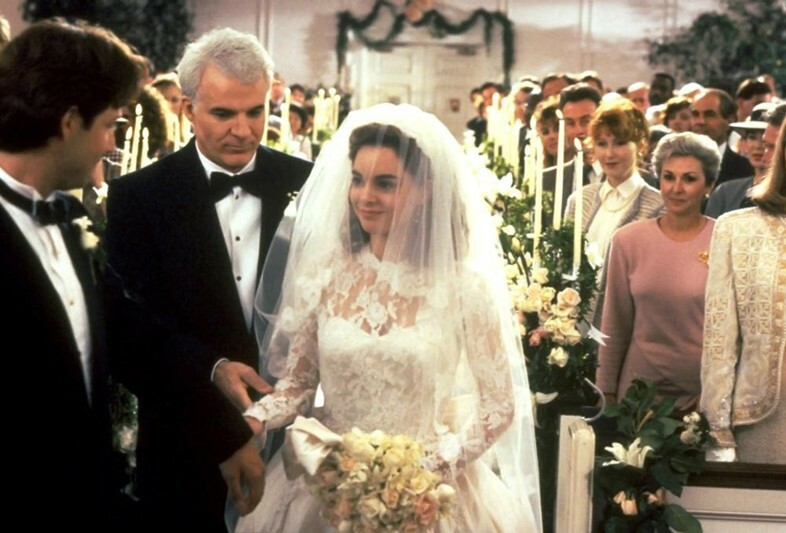 One of the film's sweetest scenes sees Annie and George standing in the garden on the eve of the wedding, after George has found himself inexplicably compelled to help Annie and Bryan resolve a dramatic argument – much to their delight. Here, Annie finally concedes that she doesn't really want to leave home – the words that George has needed to hear to be able to let her grow up. She realises this as she is packing up her room, telling her father, "You know how you've always trained me never to throw anything away. So, like, I have all these ratty stuffed animals, and yearbooks, my old retainer... all my old magic tricks? I've actually packed it all. I just didn't want to let it go." It is at this point that George at last admits what he's secretly known all along: "Well, that's the thing about life... the surprises. The little things that sneak up on you and grab hold of you. It still happens to me." This is just what George resolves to do when, having ranted and raved about the mounting bills that Franck is racking up with his excessive visions for the big day, he sees that Annie has been reading an article about how to have a budget wedding. And when a freak snowstorm hits Southern California the night before the wedding, this pledge is well and truly put to the test, and happily, George succeeds. 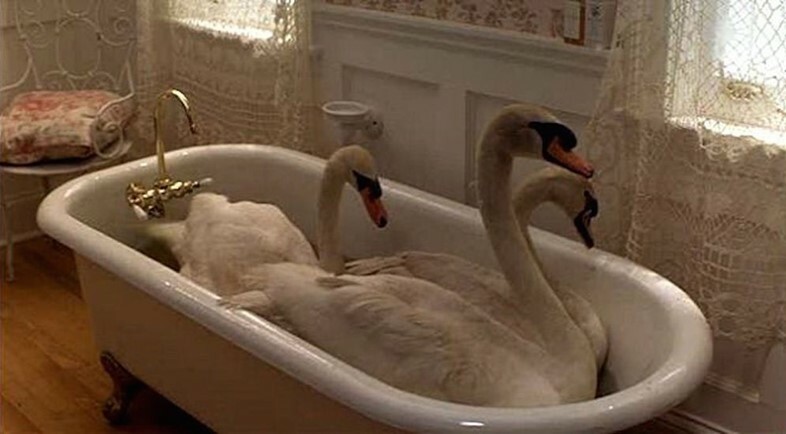 It’s here that we learn – not so metaphorically speaking – that so long as you’re willing to thaw tulips with a hairdryer, shovel the driveway, put the swans in a lukewarm bath and just go with the flow, then everything in life is going to be alright.